Have you ever forgotten to save your changes to a document and lost critical work you’d be hard pressed to recreate? Imagine losing everything your company has ever produced and having to start over. Unfortunately, any number of Denver business managers will wake up to that exact reality tomorrow. The businesses that survive disaster plan ahead. It’s like having lifeboats on a cruise ship – you never think of them, but if you need them, nothing else will do. 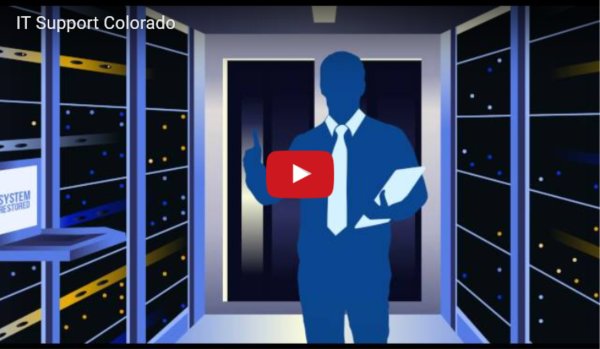 When disaster strikes, your disaster data recovery plan is your first step back to normalcy and control, but it must be created and in place before the emergency occurs. Protect your business from natural and human disaster. SBA reports: 74% of small businesses don’t have a disaster data recovery plan. We make you one of the ‘prepared 26%’ and protect your company. 93% of companies that lost their data for 10 days or more filed for bankruptcy within one year of the disaster, and 50% filed for bankruptcy immediately. Remember, the businesses that survive disaster planned ahead. This year, 40% of small to medium businesses that manage their own network and use the Internet for more than e-mail will have their network accessed by a hacker, and more than 50% won’t even know they were attacked. Don’t let that happen to you. Reach out today and experience peace of mind. Most businesses are pretty careful about backing up data daily and taking weekly or monthly copies off-site on some kind of regular basis (maybe). But if your server was lost, how long would it take to restore it? With Mission Critical Business Cloud Backup and Disaster Data Recovery, a major server loss is typically only a disruption of a few minutes. The ability to continue with your work is priceless – especially compared to the stress, downtime and disruption you’ll encounter if you’re relying on traditional backup methods. With the more common methods, a disaster means you’ll be ordering (and paying for) new hardware, installing operating system and applications, loading data from those backup drives that no one has verified (most likely) and a healthy dose of sweat and crossing your fingers. Therefore, planning ahead with business cloud backup is key. “Maybe” is not a strategy and neither is hope (as in hoping everything works should you ever need to restore your data). 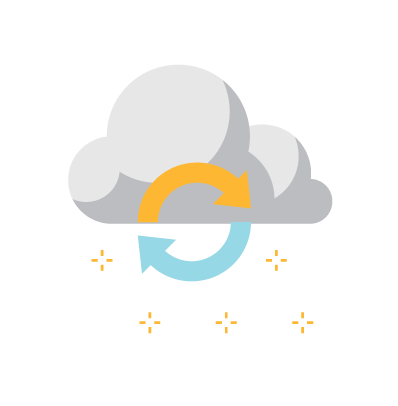 Thunderhead business cloud backup allows us to restore all your data in a matter of minutes, without sending your stress level through the roof. In the time it takes to enjoy a cold drink, you’ll be back in business. Find something else to do for 20 minutes or so. Everything you need for monitoring, management and remediation is handled. If you have an active, same day warranty with your hardware manufacturer, you could have a technician onsite, with parts, within 4 hours. Repair takes 2 to 4 hours, so your server – without any data or functionality – could be up in as little 6 hours. If you’re not covered under warranty, you can expect a new server in about 10 days. A new server needs to be unboxed, racked, connected to the network and turned on. This takes about 2 hours. The operating system can be downloaded from Microsoft and installed on the server. Assuming the operating system has already been downloaded, installing it can take up to an hour, if all goes well. The server’s data must be transferred from your backups and written onto the server. Depending on the hardware being used and the amount of data, this can take hours or days. A good rule of thumb is that for every hour needed to back up a server, 2 hours will be needed to restore it. With Thunderhead backup, we can customize a solution to meet your specific needs, requirements and budget – everything from fully redundant sites in multiple locations to spinning up a new server within hours of a disaster. Discover if Thunderhead is Right for You. Call us for a No Pressure, Zero Obligation overview.